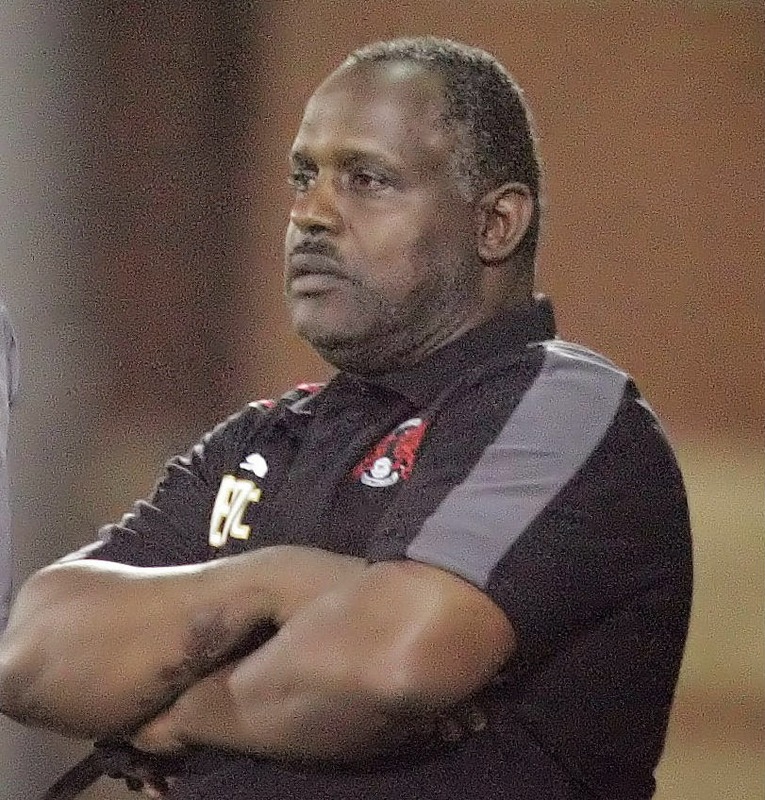 As one of the longest-serving members of the Orient backroom staff, Errol McKellar has seen a few things. Errol, so far this is the most successful season in your 16 years at Orient. What’s the secret of this success? I’d say this management team is very close to being as strong as it gets. Russell Slade is exceptional in getting players to raise the bar in whatever they’re doing. And the team spirit: they’re more like brothers than team mates. They’re very close – I don’t think there’s anything they can’t achieve. Moses Odubajo, who came through our youth system, has been a vital component of the team this season. What are the challenges to bringing more players like him through at Orient? Our programme is very strong. We’re a small club, but what we can say to people is that if you come here, you have a chance of playing in the first team. We’ve been fortunate in that we’ve always had managers who are brave enough to give younger players a chance. If they’re good enough they work with the first team. If we can produce two or maybe three players a year that make it through then that means it’s working for us. You’ve worked with some great players in your time – David Beckham, Ledley King... erm, Billy Jones. Who’s been the most impressive? Well, I worked with David Beckham from when he was eight until 12 years old. I coached Sol Campbell, Ashley Cole... I worked with Kevin Lisbie for two years as a youngster. It’s hard to say who’s the best. But I’m passionate about the players I work with at Orient. It’d be unfair for me to single one out. You’ve been heavily involved with Prostate Cancer UK after suffering from the disease yourself. When were you first diagnosed? I was diagnosed with prostate cancer in 2010 after my wife insisted I go to the doctor to help sort out my snoring. While I was in the waiting room I picked up a leaflet which was encouraging men to take a PSA test, which can detect early signs of the disease. Little did I know the next 10 minutes would change my life. The test indicated some problems and it amplified from there: they told me my prostate was covered in cancer and that it had to be removed. Thankfully four years later I’m still here. Well, I wanted to turn a negative into a positive. I give people a 20 per cent discount at my car garage in Hackney if they go and have the PSA test done. In the last two years 24 people that have come in have been diagnosed with the same problem. What’s frightening is one in eight men will get prostate cancer – and one in four Afro-Caribbean men. This test takes 10 minutes – it’s a simple blood test – and if there’s a problem it’s better if it’s dealt with early. 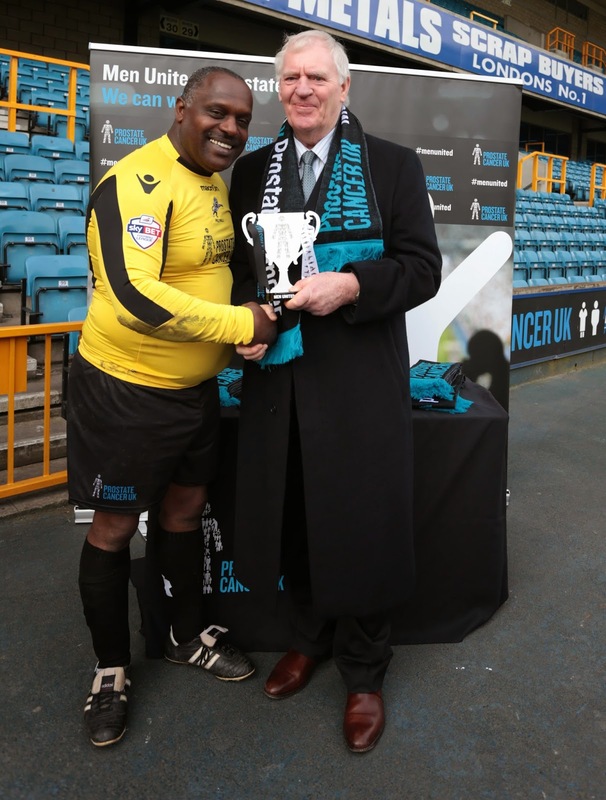 You played for Prostate Cancer UK’s Men United team against a Parlimentary XI at the Den. Did you pull any Dean Cox-esque moves? Put it this way. We were winning 4-0 at half-time. Then I went in goal for the second half and we lost 6-5. Well, the good thing was that the MPs were donating another £100 for every goal they scored. One of them lobbed me from the halfway line. I still got man of the match though! What’s been your proudest moment as an Orient employee? It was when my stepson Aiden Palmer made his debut at Oxford in 2004. He gave proof to the fact that young players can come through and make it to the first team. But everything about the club makes me proud. The support that Orient have given me since I was diagnosed with prostate cancer has been amazing. fair price? Kudos, Iappreciatge it!